84km. 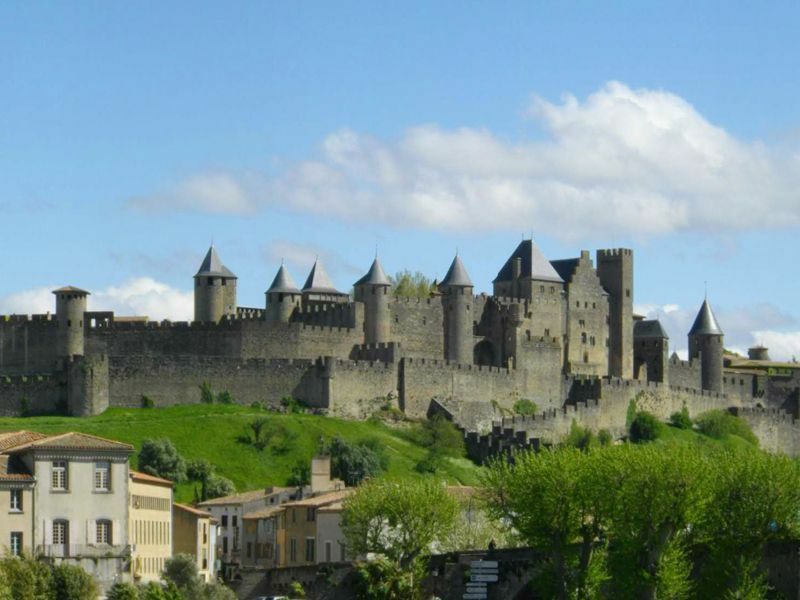 Carcassonne is the largest walled city in Europe and is located on a high promontory. The city is surrounded by two concentric walls, the exterior one is 1650 metres and the interior one is 1250 metres. Backing onto the internal ramparts is the Chateau Comtal which was partly built in the early 12th century and which is the last defence inside the city. 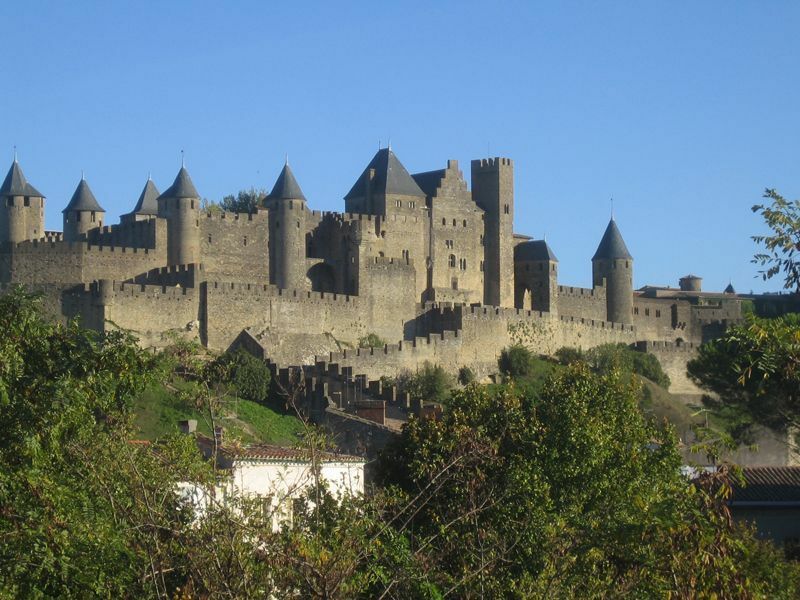 The legend of how Carcassonne got its' name is a fascinating one: Late in the eight century Princess Carcas, following the death of her husband (a Saracen King), found herself in command of the near impenetrable fortress of Carcassonne. The Emperor Charlemagne's forces had surrounded and besieged the city after failing to take it by force. The siege lasted for 5 long years by which time the garrison was in a state of famine. Dame Carcas devised a clever strategy she hoped would outwit the besieging army: she made straw dummies to create the impression that the city was strongly defended and spent all her time attacking her assailants with arrows. With the last bag of wheat she foece-ed the last pig and threw it over the ramparts. The pig split open when it landed on the ground, spilling out all the wheat. Charlemagne, thinking that if the inhabitants still had enough grain to feed it to the pigs they could cope with the siege forever! Consequently, Chemagne gave up and lifted the siege. Dame Carcas rang the bells all day long in celebration, which is where the name of the city is said to come from: "Carcas-sonne", sonne meaning "ring".